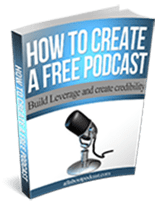 There is a gold mine with podcast reviews that many podcasters are not utilizing to their advantage. Some are really just too focused on producing their next episode, but don’t really have an idea about their podcast reviews. Yes, they even ask for their listeners to leave them a review on iTunes, but never really take time to check on it (sorry if that hit you). Okay, if that’s you, don’t worry, I understand where you’re coming from and why curating those podcast reviews seem to be very taxing. If you are just making use of iTunes, you’ll probably notice that you only get the reviews from one country at a time. And if you even decide to get all the reviews from 282 countries, then it will take you hours. The result, you’ll probably just end up getting those from where your home country, or probably just the US reviews and sorry to those avid listeners of yours from the other side of the world. Remember, podcast is a global stage. It’s no longer just the US. And there are more and more ears that are probably listening to your show than you can probably imagine. I really do think that if you want to have a successful podcast, you ought to keep an eye on those podcast reviews. It will not only help you understand your audience, but also help you fine tune your message and delivery so you can improve. So how exactly are you going to get all these international iTunes reviews without really breaking your budget? Here are three resources to you help you exactly with that problem. My Podcast Reviews is (probably) the pioneer service that offers curation of your podcast international podcast reviews on iTunes. Founded by Daniel Lewis of Audacity to Podcast, My Podcast Reviews provides a service that solves your pain point of collecting your reviews manually. If you sign up for the service, you can set up the system to send you daily or weekly reporting straight into your inbox. They also offer a free plan with limited features where you get the latest 30 reviews for 1 podcast from iTunes and a monthly update. International Reviews right from your WordPress admin dashboard. You can also add it as a widget. Interactive show notes where you can setup a timestamp and make it clickable. Once they click the timestamp, you’ll be taken directly to that section of the audio. Clutter free transcript – if you have transcripts for each of your episodes, SPP provides you an clean way of adding them to your post and with a click will reveal your transcript. Podrover is a podcast review fetching service that’s currently in beta stage and free to use. I have tested it personally, and so far, the service has been working great. The service works closely like My Podcast Reviews but with it’s own unique features. Podrover provides data of your reviews by country and time. You can also configure the service to send a daily or weekly recap of your shows podcast reviews via email and Slack. Once you open a review, you’ll also have the option to share it via Facebook and Twitter. 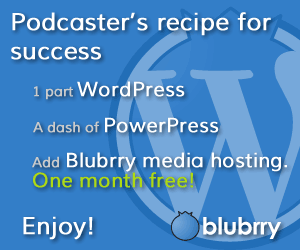 I found a WordPress plugin that actually collects international podcast reviews. It’s called iTunes Podcast Review Manager. I have not personally tried using this plugin but I plan to do some testing of this plugin and I’ll update this post as soon as I’ve tried it. How are you using podcast reviews to keep your listeners engaged?